Went to my local Suzuki Dealer to purchace a Suzuki oil filter and almost passed out when he wanted $27.95 for a # 16510-03G00-X07 ! Next I went to the Yamaha dealer to purchace a OEM Yamaha Filter #5DM-13440-00, and I did pass out when he wanted $22.95! I have done some research and the Wal Mart oil filters are made by Champion Labs, the same Co. that makes Mobil 1 oil filters and when you look at the Wal Mart and Mobil 1 filters they look exactly the same, even the same markings on the base plate and the same silkscreen numbers on the outside. I would higly recommend Wal Mart Super Tech Oil Filters for your motorcycle! Marvin wrote: I have done some research and the Wal Mart oil filters are made by Champion Labs, the same Co. that makes Mobil 1 oil filters and when you look at the Wal Mart and Mobil 1 filters they look exactly the same, even the same markings on the base plate and the same silkscreen numbers on the outside. I would highly recommend Wal Mart Super Tech Oil Filters for your motorcycle! Not that the OEM filters arent over-priced, and it's an large price difference, but good oil and oil filters are the #1 place to spend money on an engine. Yamaha and Suzuki have to warranty those engines, not Wal-Mart. While you've put some effort into this, I would CAUTION AGAINST the "high" recommendation of Wal-Mart filters because it's what's INSIDE the filter housing that is the important part and until you have actually examined and understood the differences inside them having an identical # anywhere means little, because it may be only an model fitment spec (or sizing specification) (i.e. JUST THE # FOR THE BASE ITSELF). You cannot assume to know anything about the design and material qualities of the internals. This "as good as" and "looks just like" tactic is used by TONS of retailers, and Canadian Tire is infamous for there cheap motorcycle batteries which are 1/2 the price and yet only about 1/4 the quality compared with solid OEMs like Yuasa and GS. Wal-Mart is one of the BEST KNOWN COMPANIES FOR BEING THE MOST LIKELY COMPANY for doing this stuff. You may want to read about a certain lawn mower company and how Wal-Mart contracted them to build there lawn mowers for Wal-Mart -- it almost sunk the company and they pulled out of the Wal-Mart brigade because Wal-Mart was slowly forcing them to build cheaper and undercut quality which was ruining there reputation. If the filter was REALLY a Mobil-1 branded product then I would be more inclined to trust the Mobil-1 brand, but Wal-Mart -- hee-hee -- the reputation speaks for itself. ALWAYS MAKE SURE YOU ARE COMPARING APPLES TO APPLES. I would suggest a reputable company like Purolator or K&N as a worthwhile alternative oil filter brand before Wal-Mart or Canadian Tire or any other crap out there. 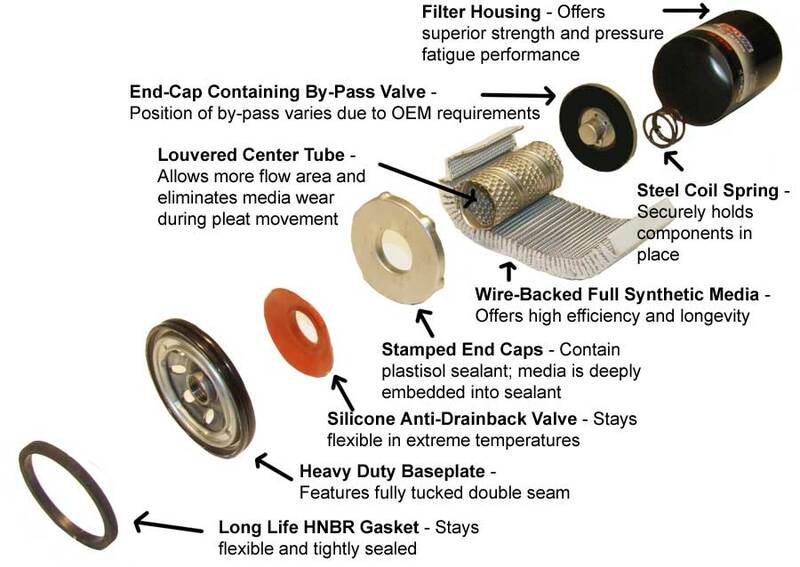 These are companies that have built there reputations for quality over many more years, and I remember a situation when even Fram screwed up some motorcycle filters. I have heard that the Wal Mart Super Tech filters are good for the money, but like QuietMonkey mentions, you have to be careful of what the oil filter inside quality is like. For me, I use WIX or UAP/NAPA Gold oil filters in my motorcycles, K&N (if they are reasonable) or OEM if they are reasonable in price. The WIX or UAP/NAPA Gold oil filter are my personal favorite, you might be lucky enough to have your bike listed here: http://www.wixfilters.com/filterlookup/motorcycle.asp to get one. If I did have a warranty issue with my engine, and the engine problems were caused by the Wal Mart filter, they would have to provide some type of proof cause I will seek out my Attorney and sue Wal Mart. If the dealer would refuse to honor a warranty because of the Wal Mart filter I would contact Wal Mart and file a claim against them, then Wal Mart would contat that dealer and with their billions and billions of dollars they would threaten that dealer with a lawsuit making them prove that the filter was no good. You missed the two key points of the posting but I'm sure others will understand. I've cut the two brands open and seen the differences first hand. The wal-mart brand uses a lot thicker paper element to filter out, whereas the higher priced Suzuki/Yamaha/Mobil1 brands use more of a cotton paper to filter it. That results in less oil backpressure, higher flow, and more filtration because the overflow valve isn't opening as much. I will also caution, YOUR FILTER MUST! HAVE A BYPASS VALVE IN IT!!!!! Some Frams do not and using a Fram can and will void your Yamaha factory warranty. Wrider wrote: I will also caution, YOUR FILTER MUST! HAVE A BYPASS VALVE IN IT!!!!! Excellent point about filters should have a bypass valve in it, don't buy one with out it. Wouldn't buy bum wipe from Walmart even if I was out, they were the only place open and I was suffering from a raging case of green apple trots. I did a study of their distribution system back in college, great system but what I learned about their business practices during my research made me swear never to drop a penny into their coffers. I will never support a heinous organization such as Slave-Mart. Those WallyMart filter numbers are the Fram numbers with a different (ST) prefix. The '3675' is the correct filter for the I6. The '3605' is the same diameter, but shorter. I think it may be the correct filter for the V8. My guess it is the Fram filter in drag. The standard Fram and the SuperGuard are paper junk. Only Fram filter Bob the Oil Guy found acceptable was the Tough Guard 'TG3675'. If you do frequent oil & filter changes, it's likely the filter doesn't matter much.